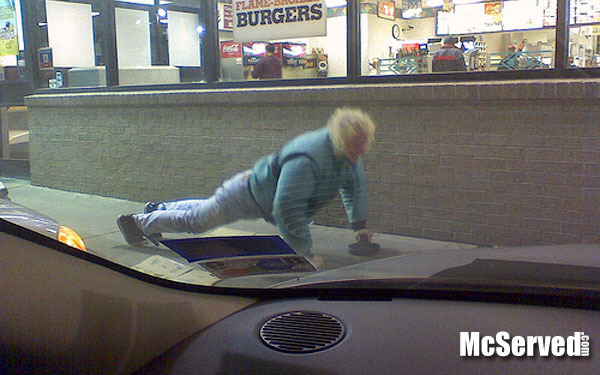 Push Ups | McServed: Getting Served McDonalds Fast Food Funnies, Laughs and More! There was an old man doing some perfect push ups outside. He was getting ready to take in all those calories. Also, his hair looks like macaroni and cheese. Outside, People, Pictures tags: macaroni, push ups.